Valencia High School is an approved member of the International Baccalaureate (IB) Diploma Program. World renowned, the IB Diploma Program is based in Geneva Switzerland with North American headquarters in New York City. It was created in 1968 as a demanding pre-university course of study. Additionally, students must participate in a variety of extra-curricular Creativity, Action, Service (CAS) activities.While each IB Diploma candidate pursues an individualized program, students share an academic experience that emphasizes critical thinking, intercultural understanding, and personal growth. To further explore the IB program, click any of the links below. Students participate in the IB Program during their junior and senior years.Pre-IB students in grades 9 and 10 prepare for the rigorous coursework of the Diploma Program by taking honors courses in language arts, social science, science, and mathematics. Students will take one or two IB Standard Level exams during the junior year. During the senior year, they take three IB Higher Level exams and any of the three Standard Level exams they did not complete their junior year. How may a student enter the Pre-IB Program at Valencia High School? 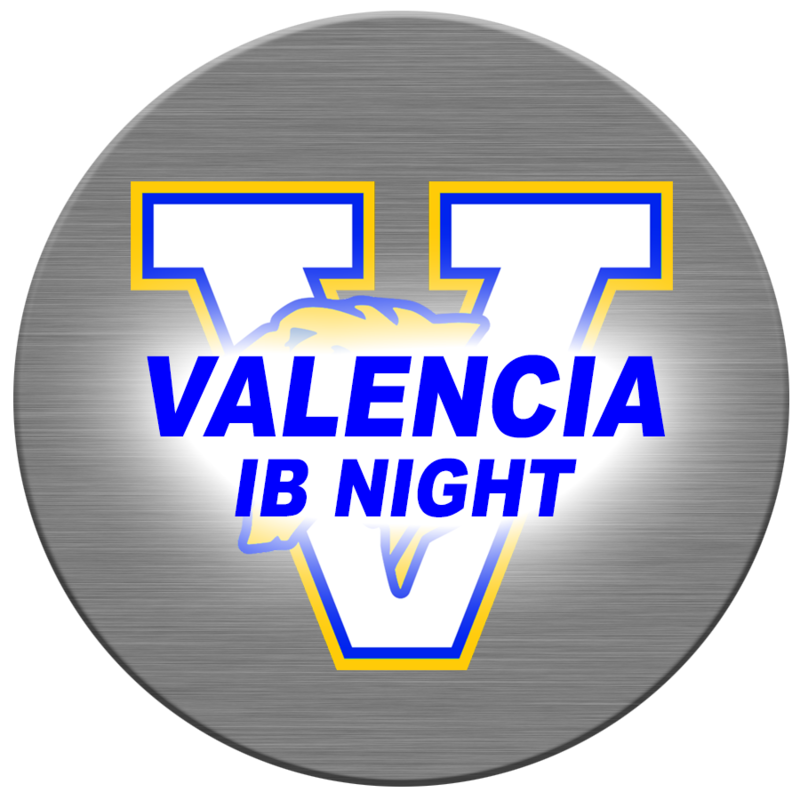 Valencia High School encourages all qualified students to apply for the Pre-IB Program. 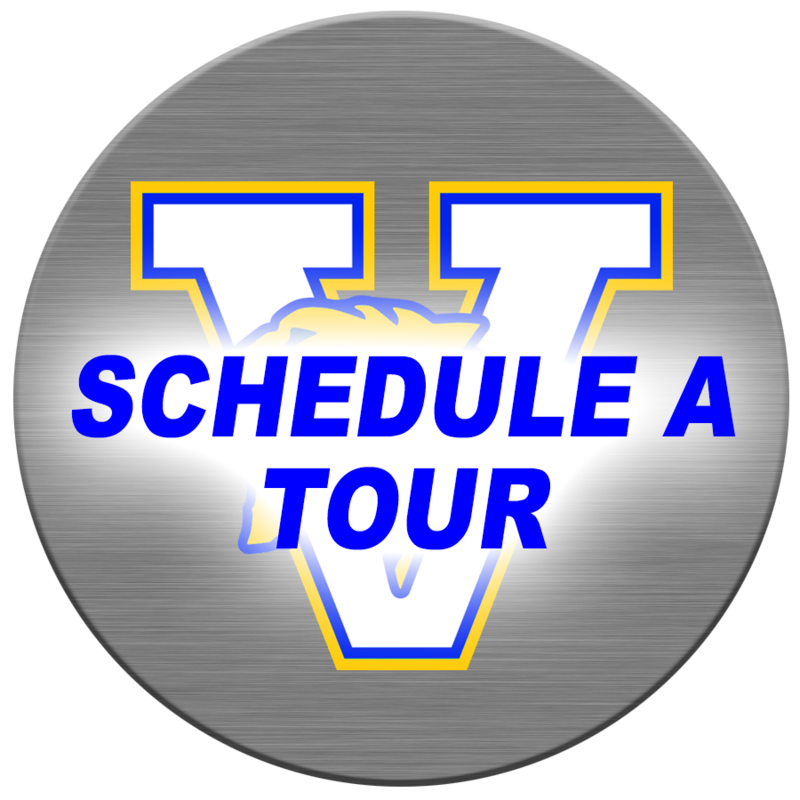 However, it is important that students and parents realize that academic excellence, while important, is not the only consideration.Success in the program also depends on a student's motivation and character.Potential IB students should also possess the dedication and work ethic necessary to complete a rigorous academic program.As such, Valencia High School requires that all students complete an application and meet specified entrance criteria. Why enter Pre-IB at Valencia High School? 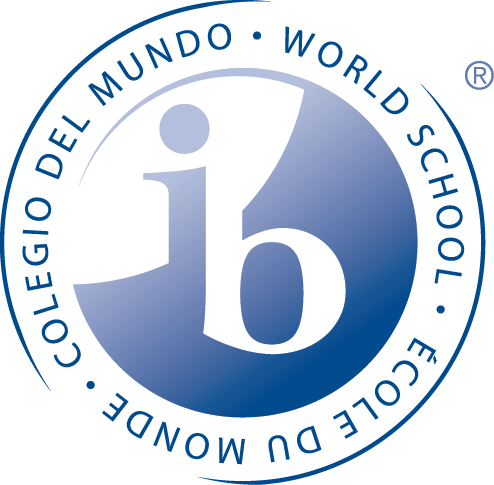 Pre-IB courses are designed to prepare students for the prestigious and rigorous IB Program. Students are part of a challenging and stimulating program that is internationally recognized. Students are exposed to an interdisciplinary education with a truly "international" perspective. Students' chances for admittance to the universities of their choice are greatly enhanced. Students may receive college credit or advanced standing at many colleges and universities. Grade Requirements The student must have an unweighted GPA of 2.5 each semester in the core subjects. The student must maintain a cumulative GPA of 2.0 in the core subjects. A cumulative GPA is the average of all semester grades. Citizenship Requirements Good citizenship and respect for your teachers and peers is, of course, expected. As such, a student who receives a "U" in any course for two consecutive semesters may be dropped from the program. Consequences for Failure to Meet Requirements The student who has less than a 2.5 semester average after the 1st semester (in the core subject areas) will be placed on academic probation. A student is removed from probation if the GPA meets or exceeds 2.5 the following semester. If a student does not meet or exceed a GPA of 2.5 by the following semester, he or she will be dropped from the program. The student who has less than a cumulative GPA of 2.0 in the core subjects after the first year will be dropped from the program. Grade Requirements The student must have an unweighted GPA of 2.5 each semester in the core subjects. The student must maintain a cumulative GPA of 2.25 in the core subjects. A cumulative GPA is the average of all semester grades. Consequences for Failure to Meet Requirements The student who has less than a 2.5 semester average after the 1st semester (in the core subject areas) will be placed on academic probation. A student who does not meet or exceed a GPA of 2.5 the 2nd semester of his or her sophomore year will be dropped from the program. If at any point the student's cumulative GPA drops below 2.25, the student will be dropped from the program. 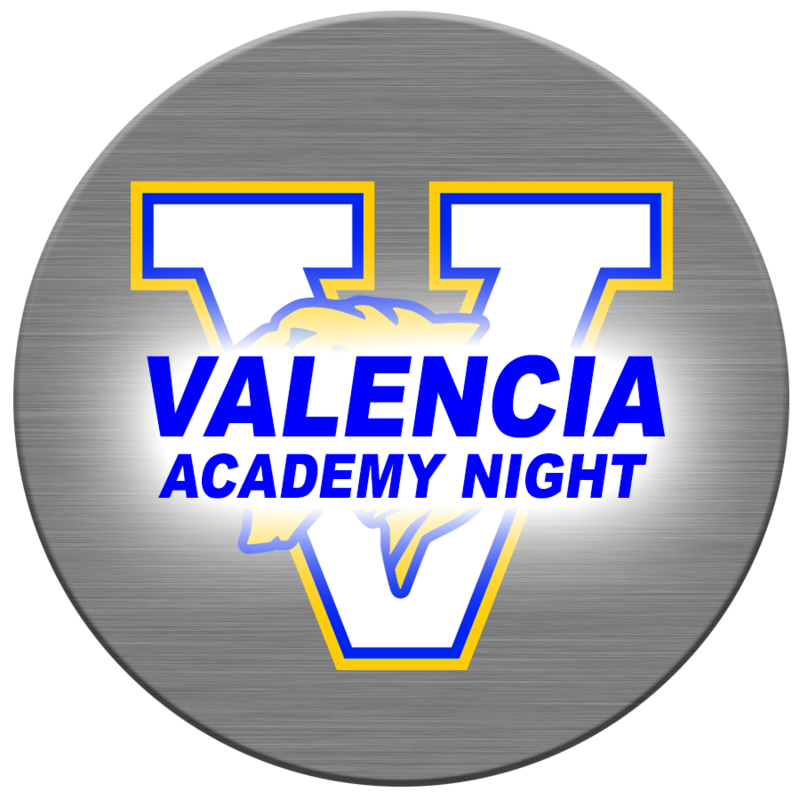 Please download and complete the 2018-2019 Academy Application below and submit to Valencia High School by February 1, 2019. Additional materials can be downloaded from the forms below.